« Chief Executive Officer of Northeast Public Radio gets it wrong. One of the unfortunate signs of the times is increased theft of valuable materials. Copper, while not as expensive as it once was, still fetches a fair amount at the scrap dealer. One local telephone company has been having a difficult time keeping their aerial cables intact in certain areas. 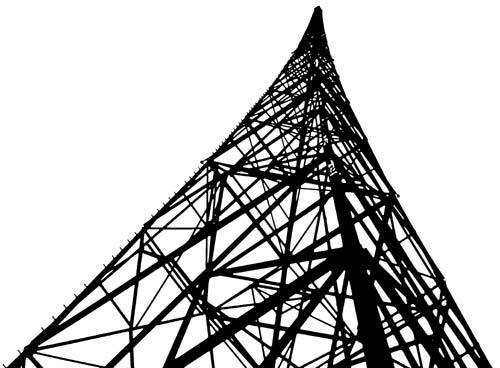 For radio stations, the situation is compounded by remote transmitter sites with lots of copper transmission lines and buried ground radials around AM towers. Reduced staffing levels also means that the weekly trip to the transmitter site is now every two weeks or perhaps once a month or even less. Site that are not visited or monitored very often are prime targets for copper theft. Forget asking the local constabulary to patrol more often, the few times I tried that I was met with a blank stare. Keep up appearances. A neglected transmitter site is more likely to attract the wrong type of attention from the wrong type of people. Clean up any rubbish, dead equipment, keep the weeds and trees cut down, etc. If a site looks well tended and often visited, a thief may think twice about lifting valuable metals. Along with #1, keep things buttoned up. Secure all transmission lines to ice bridges, remove any dead lines, etc. If there are ground radials poking out bury them, same with ground screens, copper strap, etc. Out of sight, out of mind, leaving this stuff exposed is asking for somebody to come along and give a tug. Fences and locks. Towers are required to be fenced and locked to prevent electric shock hazard. It is also a good idea to fence the building, generator and fuel tank if possible. Post all sorts of warning signs, RF warning, high voltage, no trespassing, under video surveillance, pretty much anything to deter trespassing and vandalism. Add video cameras with a video recording device since most theft occurs during non-working hours. Last year, the company I used to work for traded a video surveillance system for the studio location. Compensate a neighbor to keep an eye on the place and call you if they see any suspicious activity. It doesn’t even have to be money, I once worked out a deal with a neighbor for some T-shirts and CD’s. That was the best alarm system we ever had. In the long run, keeping all the copper parts where they belong is a great way to avoid those annoying “the station is off the air” phone calls not to mention the expense of replacing damaged transmission and ground systems. The economy and the number of people out of work is contributing to much crime, especially precious metal thefts. Some of these thieves have been electrocuted at electrical utility sub-stations, but the broadcast industry is more vulnerable. Copper ground radials have been reported to be stolen, but transmission lines seem to be in the spotlight. One cellular tower in a rural area was picked clean a few years ago during broad daylight! I believe the best way of combating this is to install a resonant sensor alarm in the driveway to the remote site. Driving into a driveway with one of these buried sensors will trigger a silent alarm, and then either cameras can be viewed or a visit by station personnel or law enforcement could then investigate. Some of the new inexpensive digital cameras have motion sensing with e-mail capability. However, our experience has been better with the resonant proximity buried alarm. The motion detection systems built into many digital surveillance cameras trigger on deer, birds, or sometimes distant headlights at night. False alarms are annoying and that is why we have settled on the aforementioned system. Imagine turning up to troubleshoot that… Well there’s ya problem! Heh, that is sort of funny. In Gainesville, FL, WDVH had a similar thing happen; the county sheriff knocked on the door during the morning show with a warrant to seize the transmitter and automation system for back debts. He was nice enough to allow the announcer to inform the audience what was happening. The station was dark for 10 months until they bought a new transmitter.